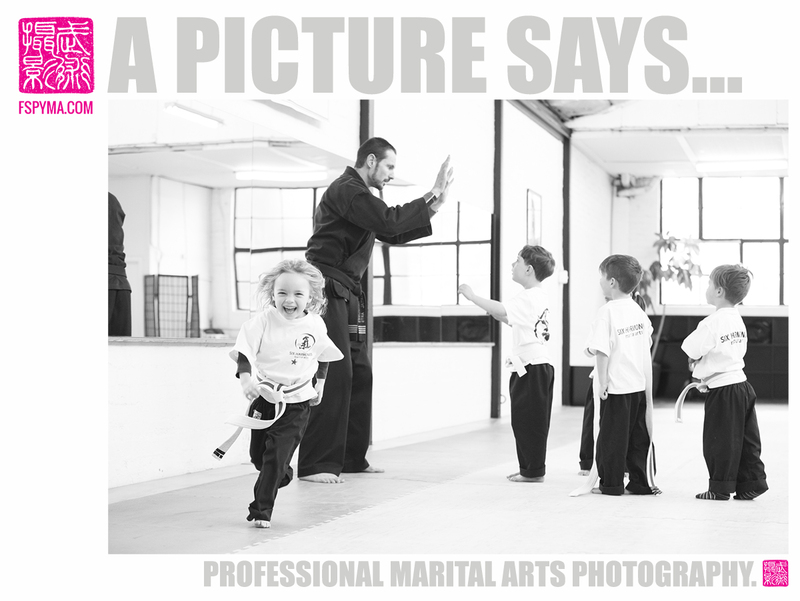 I’m a professional photographer and I have been training in various styles of Martial Arts for about 16 years. My journey started with Shotokan Karate but I currently train Shaolin Kung Fu (Liu He / Zi Ran Men), Brazilian Jiu Jitsu and Silat Domas. “Martial Arts Photography” kind of happened by accident. It started as we had a Shaolin monk come over from China to teach some Seminars at our Kung Fu academy a few years ago. I took the opportunity to snap some candid shots of the workshops and we later added photos of regular classes and got very positive feedback from students. When a new student found out that I was the photographer she approached me and thanked me – apparently the photos on the page had had quite an influence on her coming in for a trial lesson. That’s when I realized that I could help create that bridge between a potential new student and an academy by producing visual content that creates an emotional connection. Since Martial Arts has been and is so important in my life for many reasons, I can’t think of anything greater than creating this bridge and opening up this amazing world of Martial Arts to people. The next few blog posts are mainly aimed at Martial Arts School Owners. Your biggest competitors are not necessarily other martial arts club but rather the Fitness industry – gyms, pilates & yoga studios etc. And since these industries are backed up by widely known sports wear and apparel brands such as Nike, Lulu Lemon, Underarmor and Puma only to name a few, they have long figured out that visual content is imperative if you want to attract new clients. That’s where I feel that the Martial Arts “Industry” is lagging behind and I would like to start seeing higher quality content on social media and websites. If you want to take your academy to the next level you have to stop believing that you can just “wing it” with stock photography or the occasional blurry phone snaps. In today’s world of instagram and high quality content, you just won’t get through to people. Yes, it is about the content and quality of the Art you teach but in order to do so, you need to get people to come to you in the first place. Then you can work your magic. The following posts are kept very basic but should give you a good indication as to the “how” and “why” of what strong visual content along with a solid marketing strategy can do for your academy. Pictures alone won’t do the job – you need to have an overall strategy where they fit in.